It’s rare to see a microcap biotech with a revenue-generating drug, which puts Manhattan-based Q BioMed (OTCQB: QBIO) in a class of its own. The company has a number of potential new drugs in its pipeline. But one in particular is getting a lot of attention. Metastron is an opioid alternative for the alleviation of cancer-related pain. The widespread push to reduce the use of opioids means that clinicians are actively seeking effective alternatives. Opioid addiction is at crisis levels. But addiction isn’t the only problem with opioids. For those with the most severe pain, there are few alternatives. Yet the side effects of opioids can be so bad that many patients prefer the pain. Brain fog, nausea, vomiting, abdominal distention, and constipation can be excruciating for opioid users . What’s worse, prolonged use can lead to tolerance, which means the drug is no longer able to mask the pain. For the hundreds of thousands who suffer with cancer that has spread to bone, Q BioMed’s (OTCQB: QBIO) Metastron offers an alternative to the horrors of opioids. Metastron is specifically designed to target pain caused by cancer that has spread to the bone, which is a common occurrence in the prostate, breast, and lung cancers, among others. 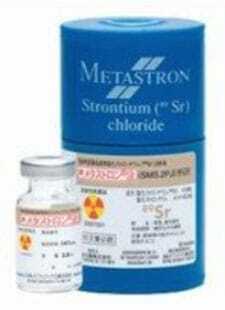 The active ingredient in Metastron is a radioactive isotope of the chemical element strontium. When injected into the body strontium acts like calcium, being taken into the bone at sites of tumors and lesions. It then delivers radiation directly to the sites, relieving pain. Metastron is FDA-approved, as well as approved for sale in 21 other countries. It is reimbursable by Medicare and most health plans. After FDA approval of Q BioMed’s U.S. based contract manufacturing facility, expected in the second half of 2019, the drug will be rolled out to the market. Importantly, a Phase II clinical trial published in the prestigious medical journal The Lancet showed that cancer patients lived a significant nine monthslonger when given Metastron as a combination therapy. This could be compared to just two months for a competitive blockbuster drug. 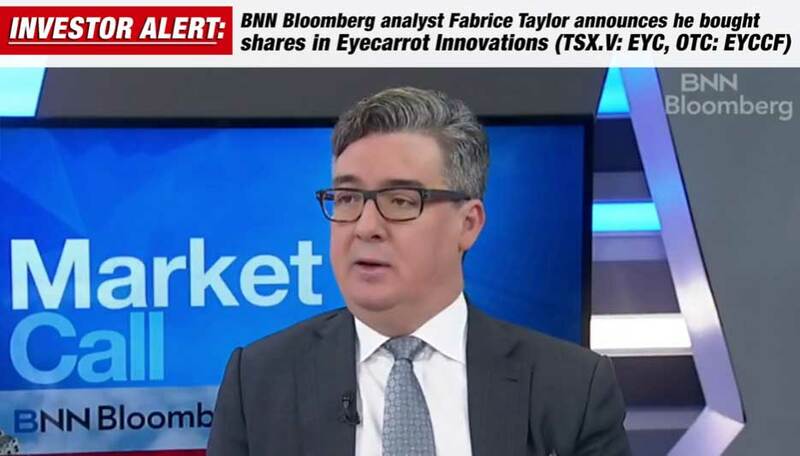 A planned Phase IV trial is expected to confirm those results, and will exponentially increase potential revenue for the company and its shareholders. A similar drug that has a limited application for a relatively small patient population in prostate cancer, and which offers only a small overall survival benefit generates more than $500 million a year in revenue for its manufacturer. While there are several treatments currently available, their effectiveness is often limited for long term pain management, they are associated with several undesirable side effects, and/or are constrained by factors like chemotherapy and health condition of the patient. 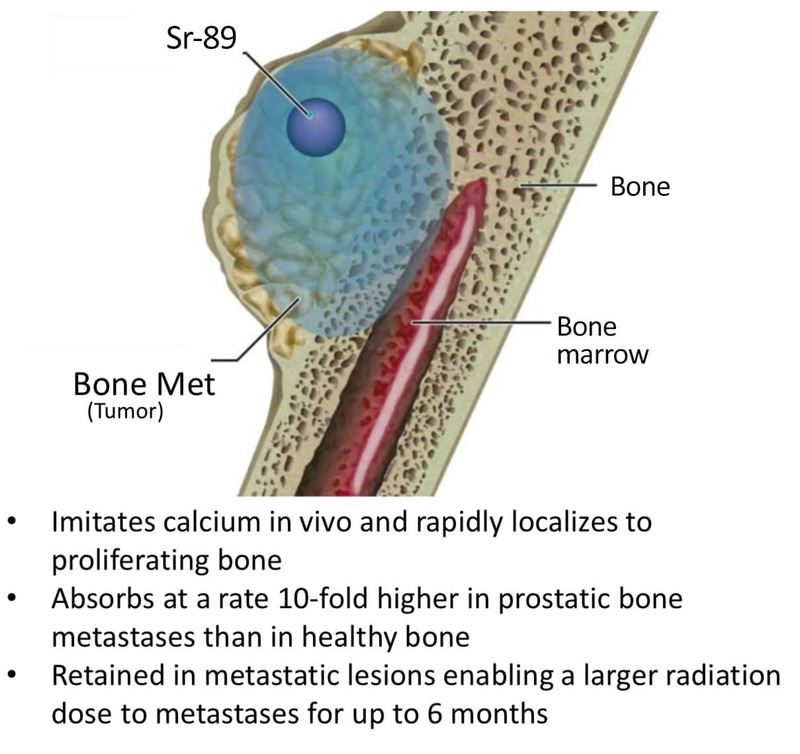 More than 280,000 Americans are living with bone cancer today,10 with an expected 3,500 new cases diagnosed in 2019.11 If Q BioMed’s (OTCQB: QBIO) Metastron were prescribed to just 2% of all patients, at its estimated $10,000 per dose that would mean $56 million in revenues. If the drug were approved for bone cancer therapy, the company projects that additional revenues could be as much as $500 million. What’s more, bone pain can be indicated in other primary cancers as well, and that could be a much bigger market. Q BioMed intends to pursue label expansion to include therapy of other primary cancers as well as in combination with other therapies. This would require additional clinical trials, which could easily be financed with sales revenue. Metastron is one of two drugs in Q BioMed’s pipeline ready for commercialization, the other being a generic version of Metastron. However, the company has several other promising drugs in development too. Q BioMed (OTCQB: QBIO) follows a tightly structured business model. Starting from a well-capitalized foundation, the company conducts its own research to identify innovative technologies that have been under-serviced, undervalued, or ignored, but which have inherent potential. The strategy has garnered the company a full pipeline of five drugs in the pre-clinical stage, one in Phase II trials, and two that have achieved commercialization. For most, the diagnosis means they will have to rely on assisted living for the rest of their life. There is currently no treatment with lasting effects on how children develop. Q BioMed’s (OTCQB: QBIO) developmental drug, QBM-001, regulates faulty ion channels to allow language development. It works by regulating the faulty neuron membrane channels associated with the disorder. Defective membrane channels interfere with how neurons communicate and develop. Verbal capabilities and language development, like all cognitive developmental functions, depend on effective signal transmission between neurons in the brain. Increasing neuronal growth and connectivity associates with learning and behavior development. 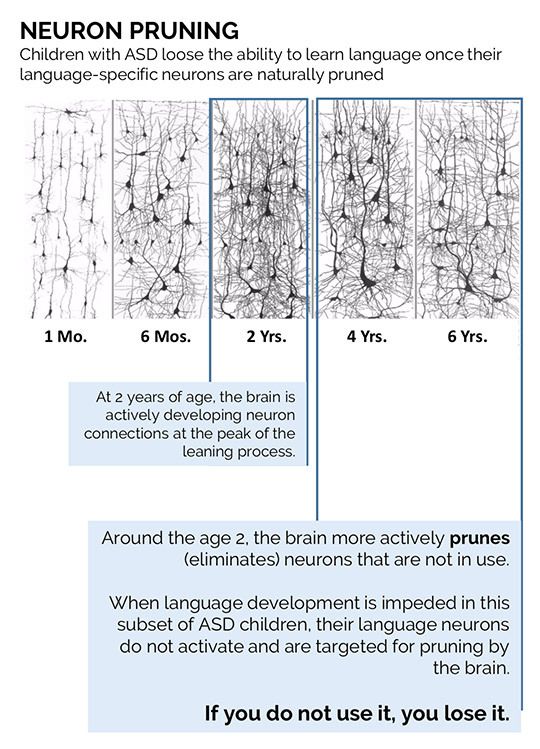 However, these connections for language development-specific neurons remain unutilized in the subset of ASD children and are targeted for elimination starting around age two. Consequently, such loss and impaired development of neuronal connections permanently affect language learning and use. Q BioMed (OTCQB: QBIO) is currently being studied with genetically identified children at high risk of developing ASD during their toddler years. QBM-001 is designed to allow toddlers to actively develop language and speech and avoid life-long speech and intellectual disability of being non-verbal. QBM-001 also is believed to reduce inflammation in the brain and by so doing may reduce the amount of long-term nerve loss. An IND is planned for 2019 allowing for a clinical trial to begin in early 2020. Study design calls for around 240 patients three years of age or younger. The placebo-controlled study will take about 12 months to reach primary outcome and interim data could be available at 4 months, which might include testing understanding and verbalization of words. 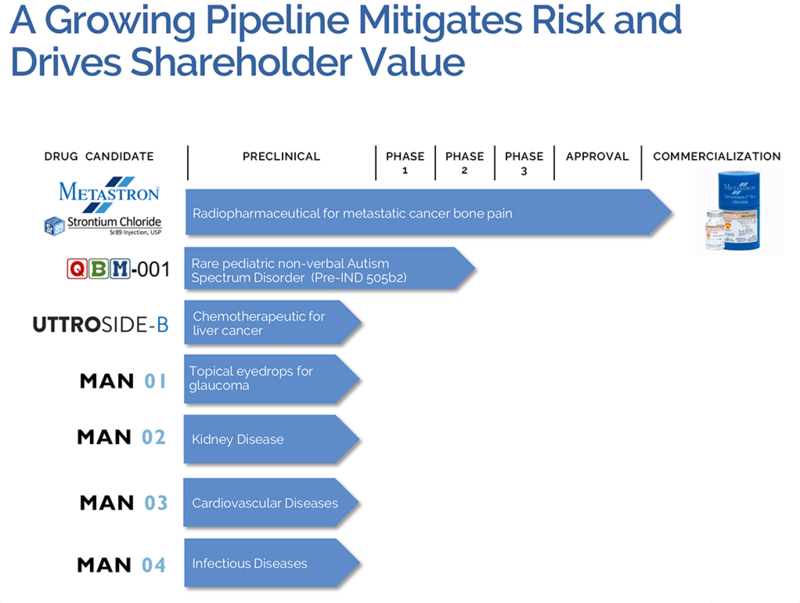 In US and EU, if granted orphan status, it would result in QBM-001 gaining 7.5 and 12 years, respectively, of market exclusivity from NDA including extensions for an expected pediatric designation. With 20,000 diagnosed each year in the US and slightly more in the rest of the world, Q BioMed (OTCQB: QBIO) projects their drug could treat 50,000 patients per year. At an estimated $100,000 treatment cost per case, QBM-001 could potentially generate $5 billion per year. Q BioMed (OTCQB: QBIO) is also developing new therapies for liver cancer, glaucoma, acute kidney injury, pulmonary artery hypertension, and infectious diseases. All five are in the preclinical stage. The company is partnering with the Oklahoma Medical Research Foundation for research on their liver drug, a new type of naturally-derived chemotherapy. They are also partnering with Mannin Research on their new glaucoma drug. The company has made some impressive announcements about its glaucoma program recently that set it apart from its peers. Both of those drugs could address the needs of multi-billion dollar markets. Q BioMed (OTCQB: QBIO) anticipates that FDA approval of their Metastron contract manufacturing facility could happen early in the 2nd half of 2019. The company could then start producing the drug and have it on the market generating revenue before the end of this year. As that date grows nearer and the company issues news of its progress toward market distribution, expect to see share price increase substantially. Ask your broker about Q BioMed (OTCQB: QBIO). And always remember to do your own due diligence. To read our general disclaimer click here.